To reciprocate is to respond to a gesture or action by making a corresponding one. Many friendships and romantic relationships possess a skewed reciprocation. However, every relationship requires equal efforts on both ends to sustain a healthy relationship. The amount of effort put in ultimately conveys how much a person really cares about your relationship. 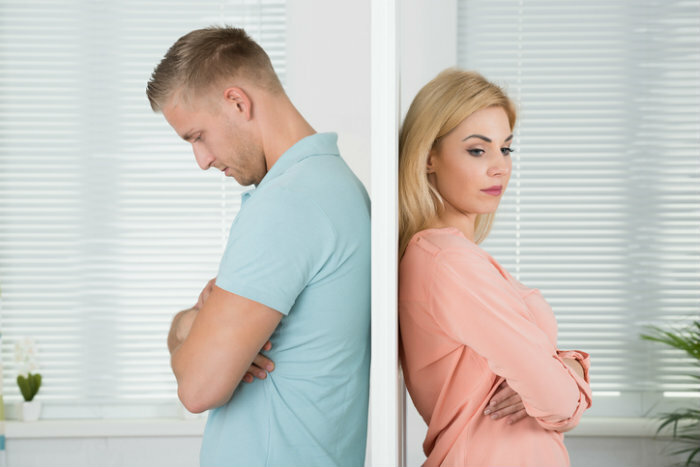 Some accept their relationship for what it is, but if you are unhappy about providing most of the effort, here’s some advice on how to handle this obstacle in your relationship. 1. Don’t continue pursuing someone who makes no effort. In any relationship, it isn’t healthy to remain in a position where you are providing all the effort. If you are always reaching out to the other person to check in on them or to initiate, you’re basically the half that’s sustaining the whole relationship. Why chase after someone who shows no signs of interest or the slightest bit of care? Try giving them some space. If they don’t make the effort to improve the state of your relationship, then you know where they stand. Drifting apart doesn’t necessarily mean you have to rethink your relationship or break it off. Instead, proceed to the next suggestion. 2. Openly address concerns you might have. Everyone deserves a fair chance to fix their mistakes. Sometimes, people don’t realize they are not reciprocating because they’re so caught up in their own life. If you have continuously made the effort to meet with the person, let them know it is their turn to set up a date. It’s important that you communicate this with them. If they remind you of their busy schedule, reassure them that putting time and effort into a relationship doesn’t necessarily imply having to meet in person. A mere phone call or text message to check in every now and then will suffice. 3. Accept the relationship for what it is or cut ties. Some are inherently bad at reciprocating so you have to determine if the relationship is worth sticking around for. Typically, people are more flexible with those they have a history with whereas new people aren’t always a priority to keep around. Plenty of people are okay with sustaining a relationship that are skewed or one-sided. If you choose to do so, you shouldn’t resent the person because you’ve essentially chosen to accept this factor of your relationship. If you no longer wish to accept this, end the relationship. It’s difficult breaking up with someone whether they’re a friend or an S.O., but know that putting zero effort into your relationship is a valid reason. Who wants to sit around pondering the state of their relationship all the time? As we grow older we have more responsibilities, but a genuine person will always find time for those most important to them. It’s not right for someone to only see or speak to you when it’s most convenient for them. Growing close and drifting apart is a part of life and a lack of effort can be the cause. Previous Writers & Editorial Staff Wanted! Next Is Social Media Negatively Affecting Your Health?